imAndystorm.com. Singapore Lifestyle. Travel. Food. 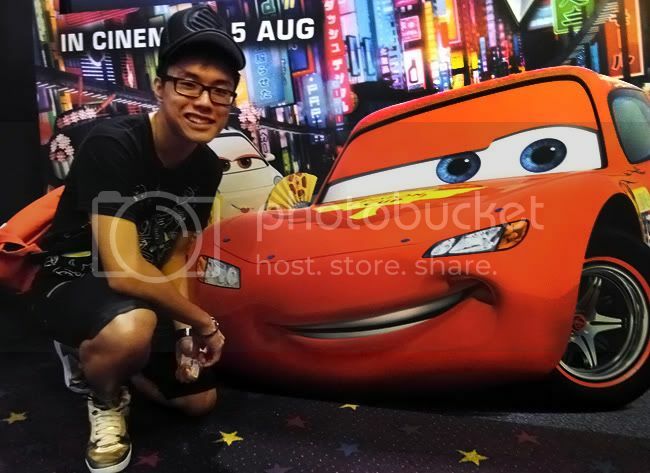 : Cars 2: Opening this August 25! Cars 2: Opening this August 25! 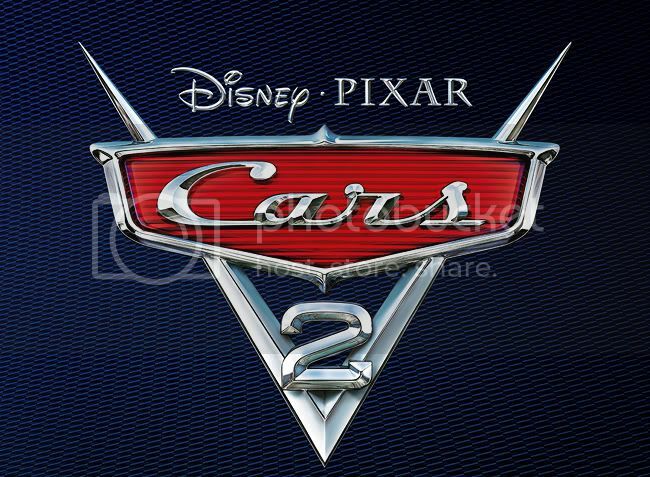 On the 25th of August would be the opening of Disney Pixar Cars 2! Just in case you have no idea what Cars 2 is going to be about... Here's a synopsis! Star race car Lightning McQueen (Owen Wilson) and his best friend, the incomparable tow truck Mater (Larry the Cable Guy), jump start a new adventure to exotic lands stretching across the globe! The duo are joined by a hometown pit crew from Radiator Springs when they head overseas for the first-ever World Grand Prix, a race to determine the world’s fastest car. But the road to the championship is filled with plenty of potholes, detours and bombshells when Mater is mistakenly ensnared in an intriguing escapade of his own: international espionage. Mater finds himself torn between assisting Lightning McQueen in the high-profile race and towing the line in a top-secret mission orchestrated by master British super spy Finn McMissile (Michael Caine) and the stunning rookie field spy Holley Shiftwell (Emily Mortimer).Mater’s action-packed journey leads him on an explosive chase through the streets of Japan, Italy, France and England, trailed by his friends and watched by the whole world. The fast-paced fun includes a colorful new cast of cars, boats, trains and airplanes— complete with menacing villains and international racing competitors. 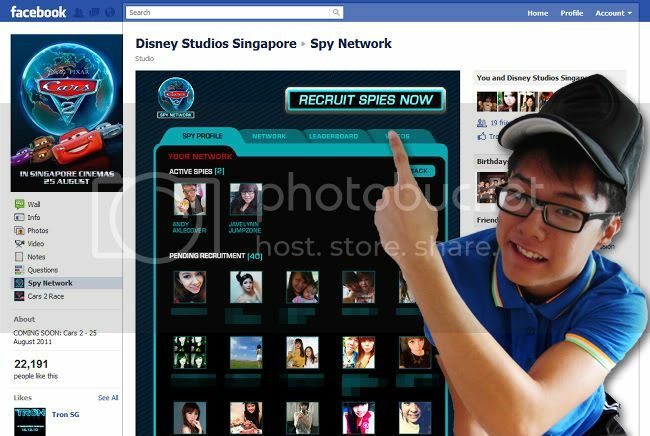 Join the SPY ACADEMY on Disney Facebook Page! Basically this Cars2 game you will be "trained" under either Finn McMissle (You will only be able to recruit Male spies) or Holley Shiftwell (You will only be able to recruit Female spies) and the objective of this game is to recruit as many spies as possible and increase your spy network!!!! Top recruiter wins an exclusive screening for 68 (hall capacity) and the screening will be held on 10th September 2011, 10am at Orchard Cineleisure Cathay cineplex, hall 6! Start getting people to join my spy network! Promotion ends on 28th of August. For more information, checkout their OFFICIAL WEBSITE and look forwards to 25 August!